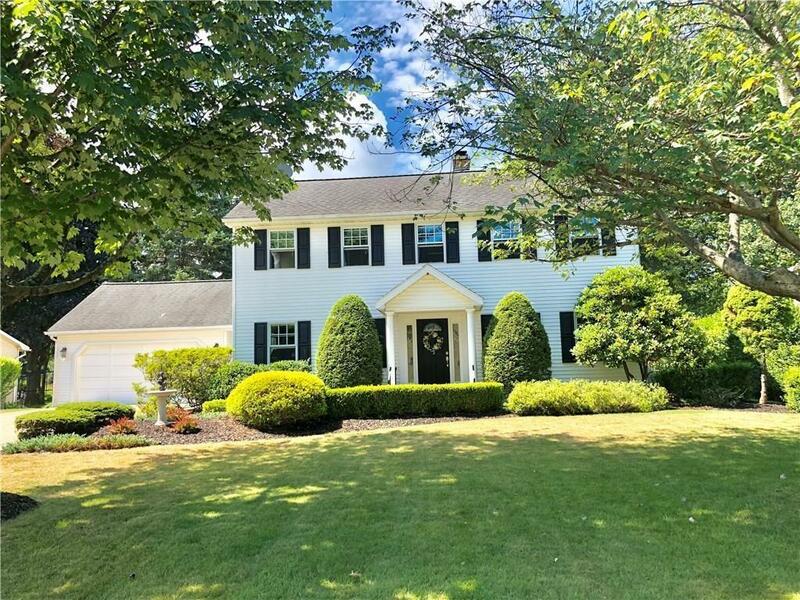 Center entrance, Colonial style 4 bedroom/3.5 bath home complete w Master Suite, formal living room w wb fireplace w gas insert, formal dining room w beautiful parquet floor, spacious family room off kitchen/dinette area. Beautiful Corian kitchen counters. First floor laundry, kitchenette area and full bath off Florida room convenient for inground pool/patio entertaining. Professionally landscaped all around this very well maintained home! Enjoy your own home oasis right in your backyard! Quiet street, yet close to everything. Many updates since purchase in 2003, including basement finishing (ping pong/pool table stays), kitchen tiling/back splash, appliances, BRAND NEW back upper roof, insulation and more! Don't miss out on this one! Call and schedule your personal tour today!